Extra enhancements that help you manage your agile projects. Unlike most Apps, this App is server-wide. It is automatically enabled in iceScrum Cloud. On the On-Premise version version, the Toolbox App is enabled by default if your license includes it. The regular story copy feature is limited to the current project. However, it may be useful to copy stories from one project to another. The Toolbox App allows copying stories between projects. To copy stories between projects, just use the regular copy menu. If you are Product Owner of both the current project and the one you want to copy the story to, a pop-up will automatically offer you the choice to copy. You can even copy several stories by selecting them and clicking on the “copy” button. 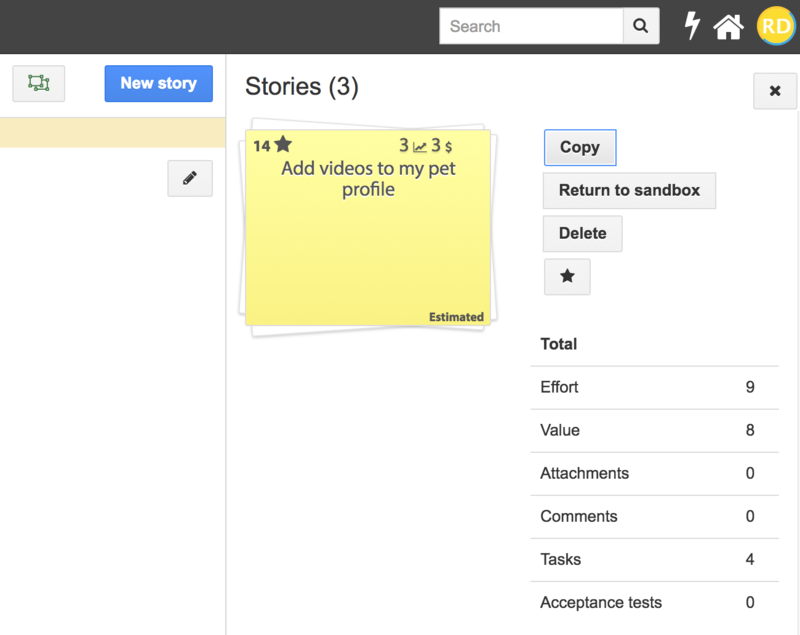 Stories can be copied from the Sandbox and the Product Backlog. Their tags, attachments, comments and acceptance tests are also copied (actors are kept if found in the destination project). The tasks and dependences associations are lost. The feature can be kept is a feature with the same name is found in the target project. The “origin” field of the new story is filled with the original project name and the current user becomes the creator. This feature can be used for large-scale projects where starting with a top-level project with big stories and features is recommended. Then, the project is split into smaller ones to start working in properly sized teams. This App then allows you to copy your stories from the top-level project to the projects the teams are actually working on. In order to work efficiently, you may want to know which tasks a co-worker is working on. This App brings the ability to filter the task board by user. This feature is available for everybody in the project; it is not intended for micromanagement of individual “performance”.